Flowers are absolutely the prettiest little things that we adore. So colourful and fragrant, all of them are so special in their own ways. 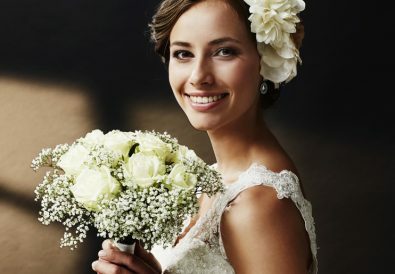 That is why flowers are so common to be seen on clothing, decorations and as a gift. Flowers are nice to see, smell, wear and eat. Wait, eat?!! Yes, there are flowers that are edible like hibiscus, carnation, rose, sunflower and many more. In fact, you might be surprised that some of them are the ones you see them every day in your garden. 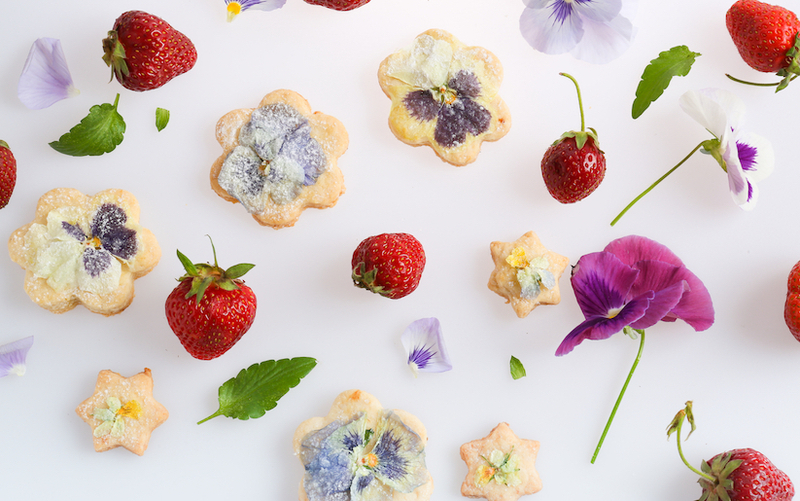 Continue scrolling to find out recipes you can try with edible flowers at home! If you are going to have a party or a hi-tea gathering, you should really go for this floral shortbread cookies. Look at them! 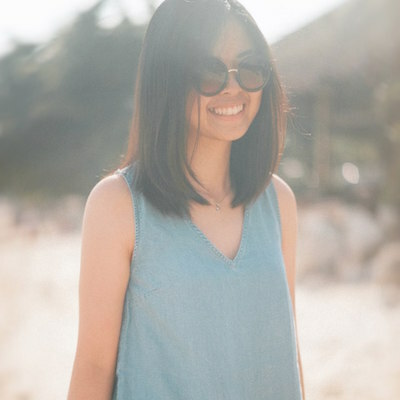 So lovely and beautiful. Your friends or guests would be amazed as you have just turned an ordinary plain cookie to something lovely. Besides, the flowers itself adds in its natural fragrant and taste into the cookies which makes it fragrant-licious. Pick the flowers and rinse them. Pat them gently to dry and place them on a paper towel to finish air drying. In a large bowl, mix in the sifted flour and sugar together. Cut in the butter and vanilla using a pastry cutter until it forms fine crumbs. Using hands, gather the crumbs together into a lump and knead it until smooth. Then, roll the dough out to about 1/4″ thick. Then cut the shape out using a 2 1/2″ cookie cutter. Lined the cookies on the baking tray with parchment paper. Space them out to about 2″ apart. Bake the cookies for 30 minutes until the bottom and sides start to turn brown and the centre top is firm. After 30 minutes, remove them from the oven and let it cool. In a small bowl, pour in the dried egg whites and the water. 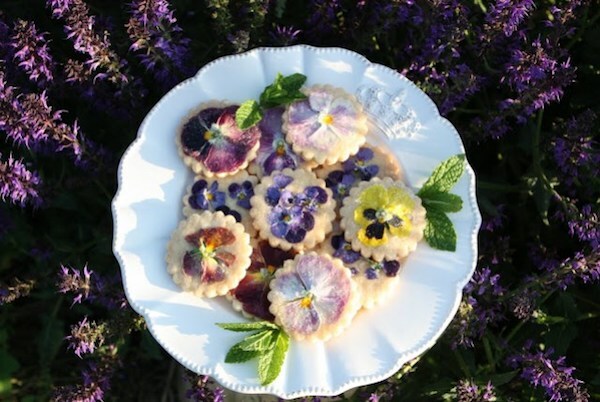 Brush the cookies with the egg white mixture and then decorate it with Pansy. Gently press the flowers down with fingers at the centre and smooth out the petals to ensure it is firmly stuck on the cookie. Then, bake it at 325 degrees for 5 minutes. Let it cool on the rack. Once cooled, serve it on a pretty plate and that’s it. No other deco needed because I am sure you would agree with me that the cookies itself are appealing. As the warm and heat are returning soon, popsicle are definitely a rescue to combat the heat during summer. Have enough of fruits and colouring popsicles? 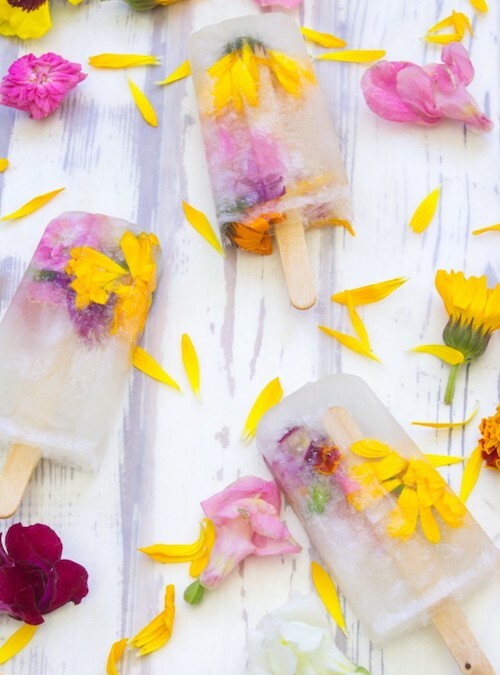 This time try this champagne flower popsicle which will give you the same quenching thirst effect but with more sweet appeal. Dissolve the sugar in water with a small saucepan over a medium heat. Once dissolved, remove from heat. Add in the bottle of champagne once the syrup cooled slightly and mix it. It is best to have the champagne chilled to prevent losing the bubbles in it. Just simply chill it in a bucket filled with ice for about 45 minutes before opening it. Fill each mould with 3-5 flowers and make sure not to over fill it. Else, the popsicle tends to break when you remove it from the mould. Pour the champagne syrup evenly to fill the moulds. Add the popsicle sticks and adjust the flowers so they are evenly spread. Freeze the popsicles for at least 10 hours before serving. A little tip here as you remove the popsicles from the mould. Try dipping the mould in lukewarm water for about 5 seconds and then wiggle the stick to remove it. Then, enjoy! So simple isn’t it? 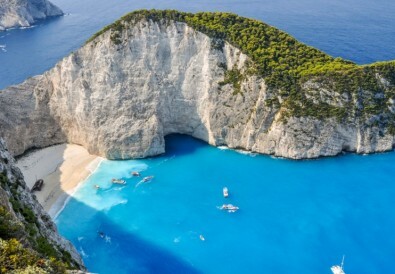 Try it out this summer and your summer will never be the same! If veggies and greeneries seem to be a no-no for you. Yet, knowing in mind that they are good for you and you just have to eat it? I guess the torture can be watered down by adding some colourful flowers into the greens. I don’t know if it would work for you but it’ll definitely work for me. How can you resist those beautiful petals? They seem to enlighten my meal as I see them on the plate. Start by preparing the pesto by blending in all the ingredients with a food processor. Blend it till it becomes a thick paste. Add more olive oil if needed or preferred. Then, blanch the broccoli rabe in boiling water for about 90 seconds. Drain it once you remove it to an ice bath and let cool. Now, start sautéing by heating the olive oil in a large skillet. Saute the broccoli rabe, radishes and green beans until it turns a little brown. Once done, turn down the heat and toss in a generous amount of pesto. 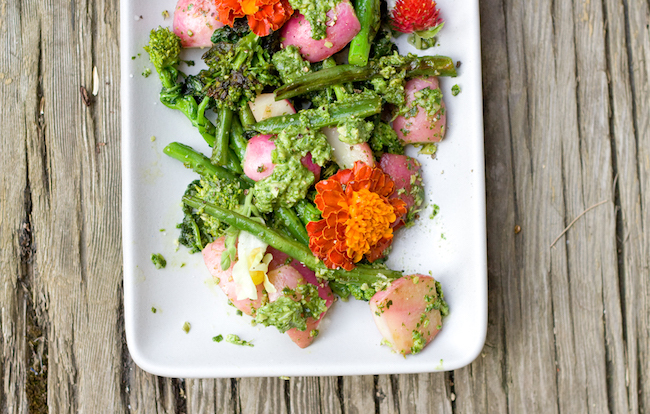 Finally, plate the veggies and garnish with edible flowers. Oh, what a wonderful plate of veggies. Try it out and maybe you will see and taste veggies in a whole different way. Who knows you might turn into a veggie lover in the end?! Salad is a great dish to get refreshed after eating many meals of fried and meaty food. Especially if you are a smoke salmon lover, you would totally love this recipe! 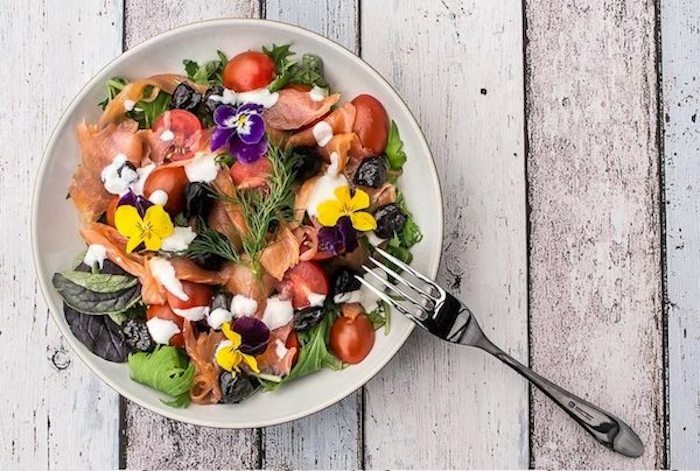 Served with mixed salad, olives, edible flowers and topped with special yoghurt dressing with a hint of horseradish. So this is a great start for a healthier you! For the dressing, just combine all the ingredients together in a bowl and mix them well. For the salad, plate the veggies, tomatoes, smoked salmon and olives. Lastly, drizzle some yoghurt dressing over the salad and garnish with edible flowers. That’s it. That is why I love salad because you get it fast and still taste awesomely great! If salad alone might be too plain for you, you may serve it with crusty bread or roll as well. 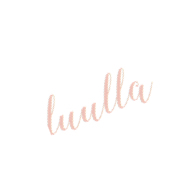 Yes hmm…what should I eat for breakfast today? 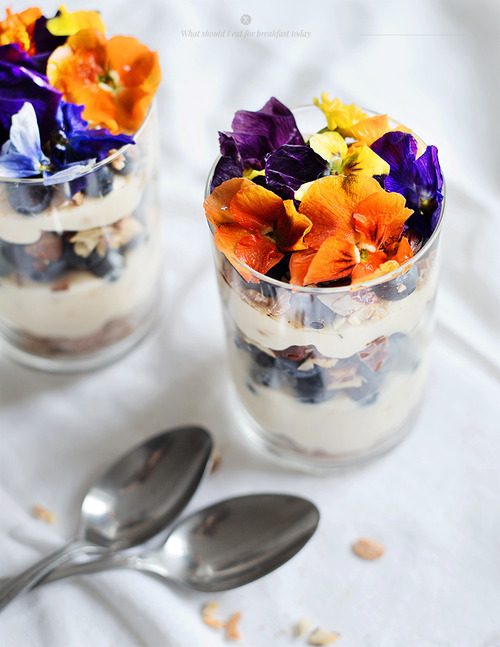 I guess it would be perfect to start our day with a yummy breakfast especially something like this granola with edible flowers. So pretty and filling to the tummy which would really blow the Monday blues away~ Plus, breakfast is the most important meal of the day so why not make it a pretty one that will make you smile all day. In a small pot, heat the lemon juice, lemon zest, sugar and egg yolk over a medium heat. Use a wooden spoon and stir the mixture constantly for about 10 minuted until it thickens. Once done, remove from the stove and add in the small diced butter. Stir it in until the all the butter melts and leave to cool. Then, mix the yoghurt in once the mixture is cooled. In a frying pan, toast the almonds with a teaspoon of oil. Now it is time to layer up the granola. The first layer starts with granola, then half of then nuts, yoghurt lemon mix, berries, the rest of the nuts, another layer of yoghurt mix and lastly decorate with edible flowers. Finally, the pretty-looking breakfast is done. But first, take a picture with it! Then stir it and eat it to your heart’s content! So let’s try these edible recipes as we usher in the spring/summer! Looks good and taste yummy. And of course, they are totally insta-worthy! Stay tuned for more finger-licking good recipes!